The USMGE leadership has an average of 23 years of experience in the modular spaces industry. Vince has 34 years of industry experience, including 20 years with General Electric Modular Space (GEMS). While at GEMS, Vince was the number one sales leader in North America, as well as a Regional Sales Manager. 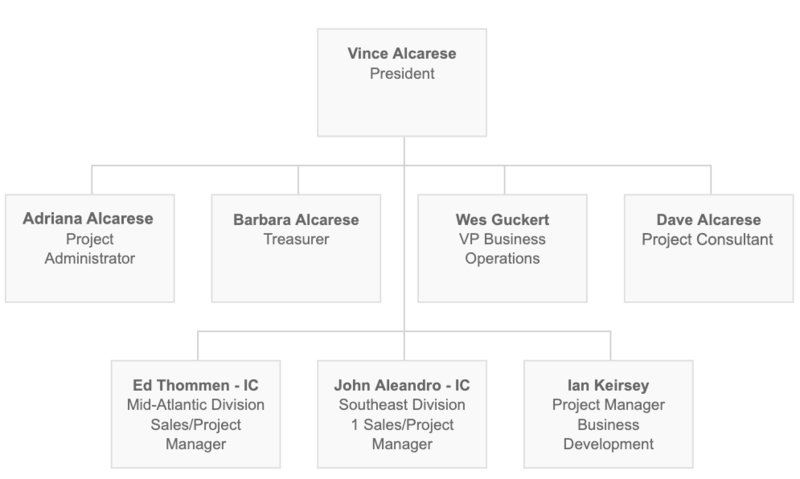 Some of Vince’s other experiences include a vice presidency at Wells Fargo, a zone manager with Hertz Truck Rental and Vice President of the Baltimore City Chapter of the Home Builders Association of Maryland. Ed has over 30 years of experience in the mobile office and modular building industry. Ed has worked as a sales manager for Mobile Offices of Maryland and as a regional manager for the modular division at Waste Management, Inc. Ed served as president of Thommen Properties, Inc., which was later purchased by Mobile Mini. After the acquisition and before joining USMGE, Ed served as branch manager for Mobile Mini. During John’s 25-year career in the modular industry, he has served as a Territory Sales Manager for General Electric, where he received the GE Master’s Club Sales Achievement Award. In addition to his time at GE, John was a sales manager with Mobilease Modular Space, Inc.
Ian has been in the modular building field for 12 years. He began as an installer and now serves as a Project Manager. Other responsibilities include business development and sales support. A member of the Modular Building Institute, USMGE has completed projects for private, government, and public interests – supplying both permanent and temporary space and full turnkey services. References available upon request. USMGE is a certified SWaM small business (Certification Number: 690410). USMGE’s goal on all projects is to make a good faith effort to provide subcontracting opportunities to qualified DMBE-certified small business firms.